Former Justice Stephen H. Grimes was the 72nd Justice on the Supreme Court and served from 1987-1997. He was born November 17, 1927, in Peoria, Illinois, the son of Henry H. and June K. Grimes. He was educated at the University of Florida where he took his B.S./B.A. (1950) and LL.B. (1954) degrees with honors. At the University of Florida, he was a member of Florida Blue Key, Phi Delta Phi Legal Fraternity, and Order of the Coif. He also served as editor-in-chief of the University of Florida Law Review. He was also the president of Alpha Tau Omega Social Fraternity. In 1980 Justice Grimes received an honorary doctor of laws degree from Stetson University. After serving in the United States Navy from 1951-1953, Justice Grimes settled in Bartow, Florida, and joined the law firm of Holland & Knight, where he became the head of its litigation department. He served as president of the Tenth Judicial Circuit Bar Association in 1966 and became a fellow of the American College of Trial Lawyers in 1971. He has taught as an adjunct instructor of criminal justice at Florida Southern College. 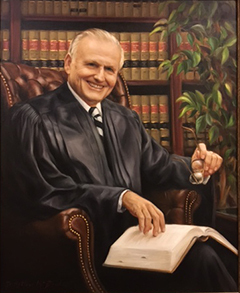 Justice Grimes was appointed to the Second District Court of Appeal of Florida in October 1973. He served as chief judge from 1978-80. 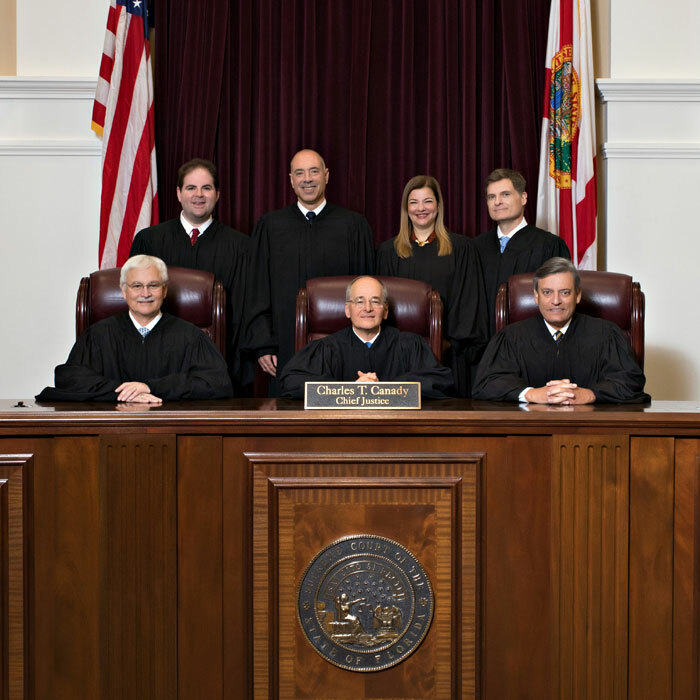 He was Chair of the Florida Conference of District Court of Appeal Judges from 1978-80 and a member of the Florida Supreme Court Appellate Structure Commission, the Florida Supreme Court Article V Review Commission, the Florida Council on Criminal Justice, and The Florida Bar Tort Litigation Review Commission. He has been Vice-Chair of The Florida Appellate Rules Committee. He was on the Florida Supreme Court Committee on Standard Jury Instructions in Criminal Cases and served as Chair for two years. He was a member of the Florida Judicial Qualifications Commission from 1983-86 and was its Vice-Chair for two years. 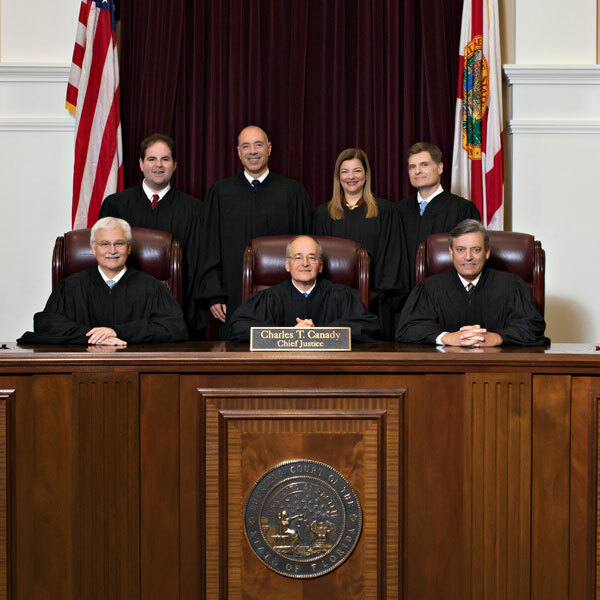 He chaired the Judicial Council of Florida from 1989-94. Justice Grimes was appointed to the Supreme Court in January 1987. He was selected by the Court as Chief Justice on April 21, 1994, and served in that capacity until May 31, 1996. He became Chair of the Article V Task Force in 1994, and served as a faculty member of the Florida Judicial College. Justice Grimes has also been active in civic affairs. He was president of the Greater Bartow Chamber of Commerce in 1964, and has served on the boards of the Polk Public Museum, the Bartow Memorial Hospital, the Bartow Public Library, and the Polk County Law Library. He was president of the Bartow Rotary Club, and he was the district governor of Rotary International from 1960-61. He served on the Board of Trustees for Polk Community College for three years, presiding as Chair in 1970. He was an active member of the Holy Trinity Episcopal Church in Bartow for more than 30 years, and he was vice counsel of the Episcopal Diocese of Central Florida from 1971-73. He is a member of the Rotary Club of Tallahassee. Justice Grimes married Fay Fulghum of Lakeland in 1951. They have four daughters Gay, Mary June, Sue, and Sheri, and six grandchildren. Justice Grimes retired from the Court on November 17, 1997, and returned to work at Holland & Knight.